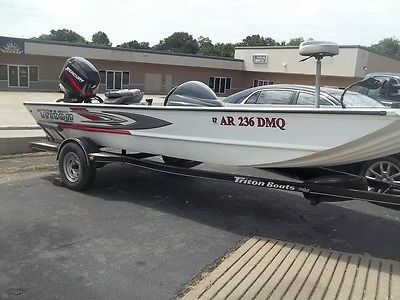 Up for sale is a 2003 Triton 17' Aluminum Boat. This boat has a 50hp Mercury motor (2003) on it. The trailer is also a 2003 model. The boat comes with everything shown in the pictures. There is a clear title for the trailer and there are the marine certificate of titles for the boat and the motor as well as the current boat registration. As you can see in the pictures the boat is very clean on the inside. The bottom of the boat does have some wear on it. This boat has no leaks and is water ready. There is a river close by that we can do test drives at. This is for sale locally as well. Please text me at 479-561-5885 with any questions that you may have. Thanks for looking. 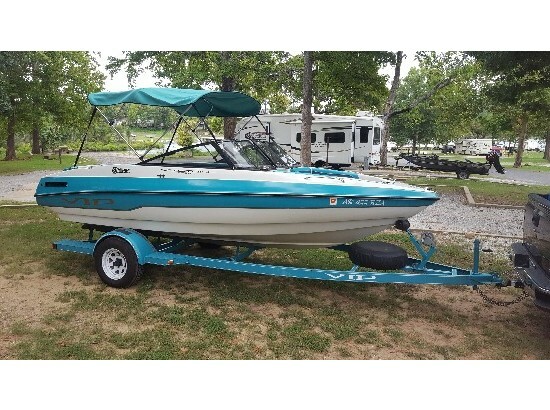 89 Angler 22ft with 2003 Suzuki 225 Four Stroke 300hrs. Duel axle Continental trailer. 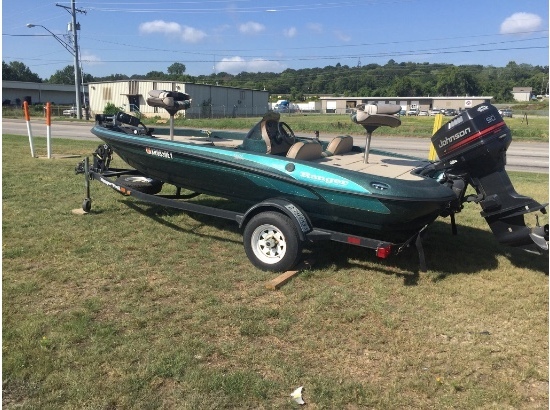 Has diving platform, new trim tabs,cubby with portapottie, sleeps two, plenty of storage,bait tank,fish storage on deck.Ship to shore radio, removable passenger seats.Runs great,80 gal fuel tank,very quiet and reliable.New hull guard. New axles and hubs. Restored 1957 Mahogany Yellow Jacket Boat and original trailer. Mercury Mark 58 Super Thunderbolt motor. Black and white upholstered seats. This boat has not been in the water since I have owned it. I did have the motor repaired. Has windshield and spotlight.